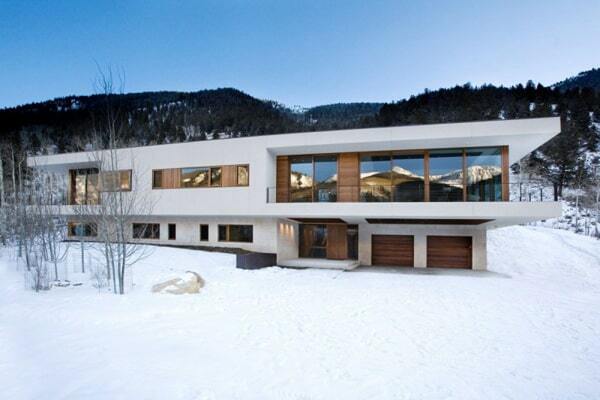 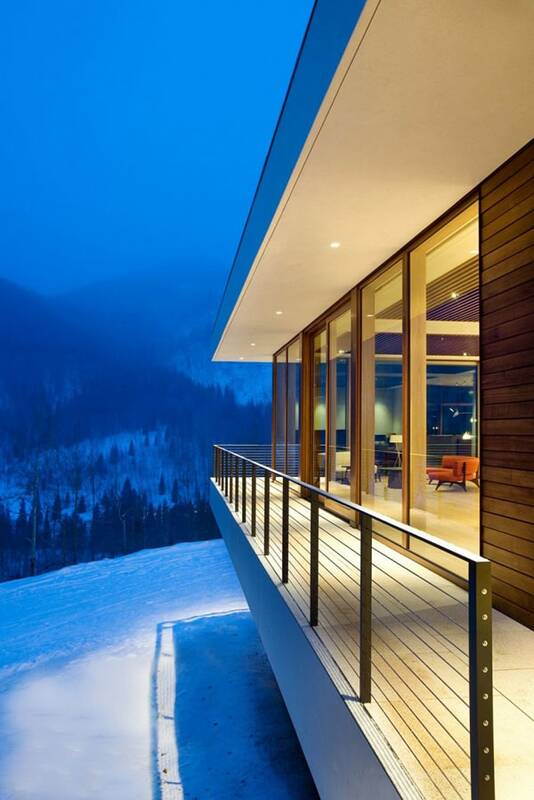 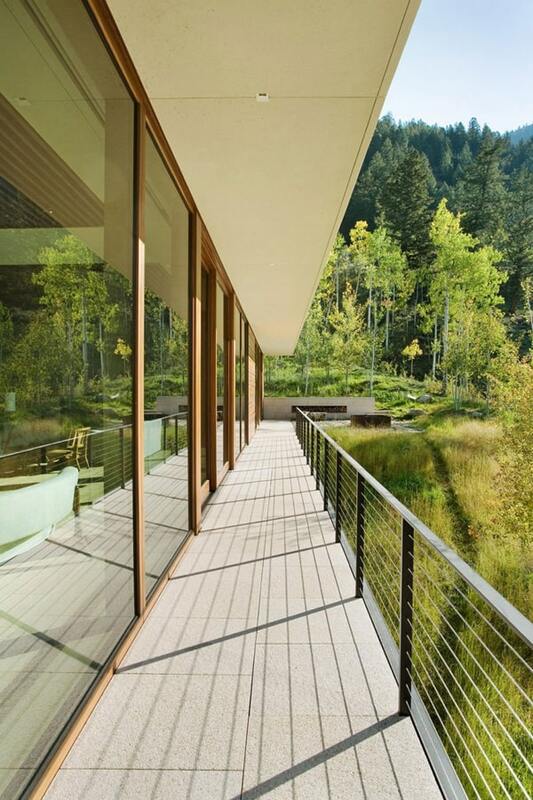 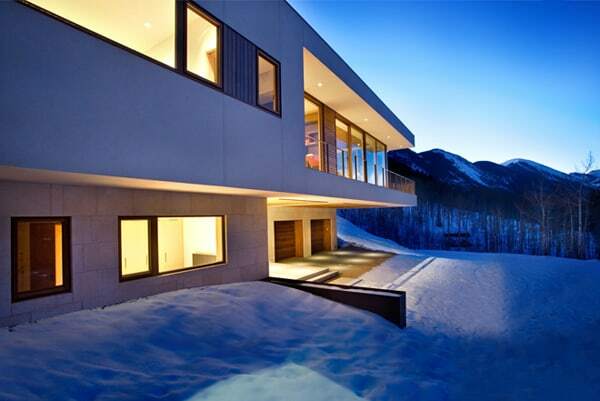 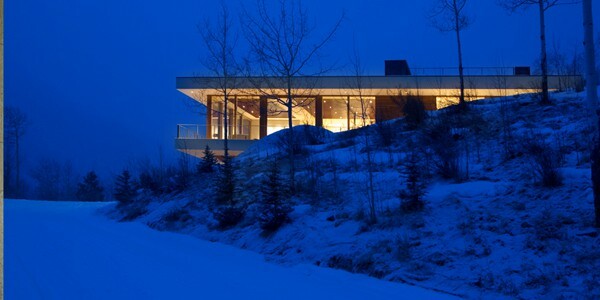 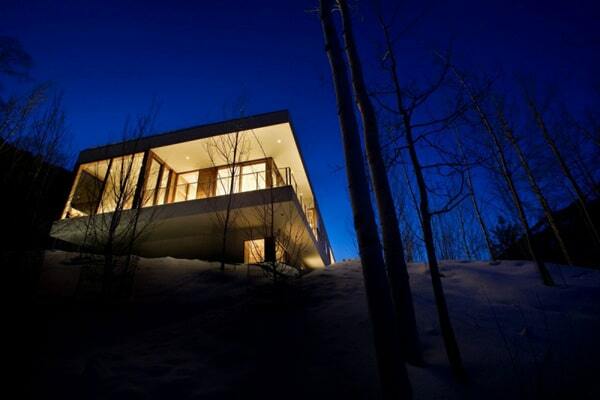 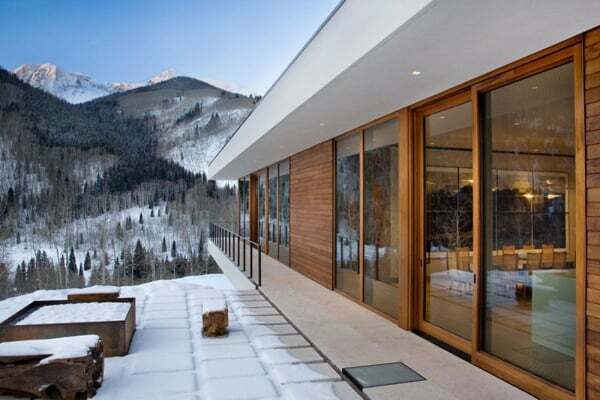 Linear House is nestled on a private 22-acre site with spectacular views to the Elk Mountain Range in Aspen, Colorado. 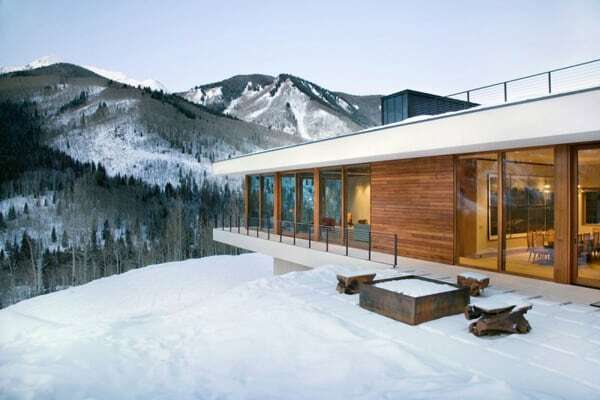 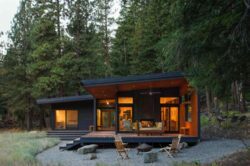 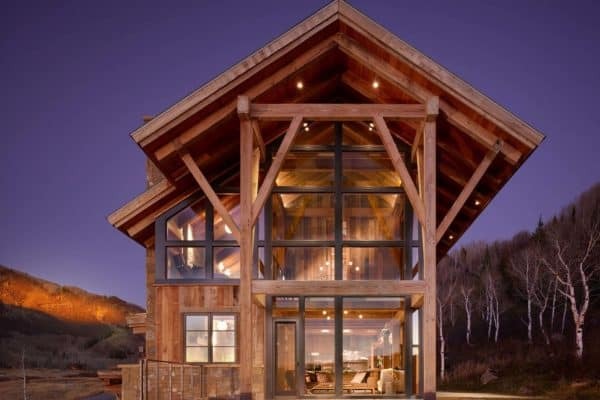 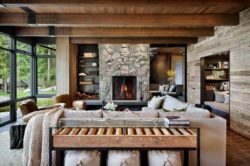 It was designed by Studio B Architects, providing both a cozy refuge from the cold and a stunning perch at an elevation of 9,500 feet from which to gaze at the surrounding peaks. 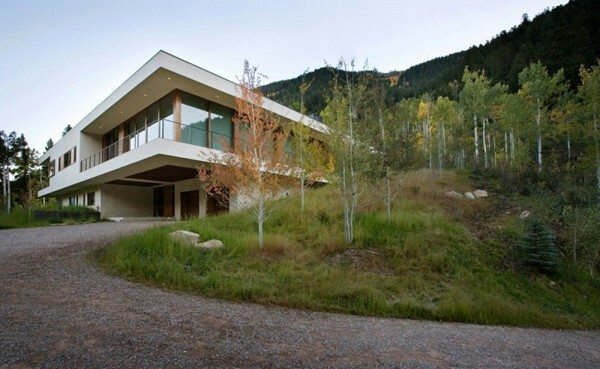 With a confined building envelop set against the White River National Forest and within a dense aspen stand, the construction and staging area was quite limited. 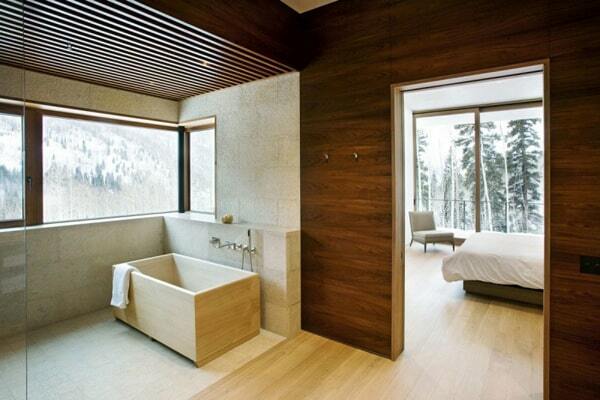 The Hong Kong-based clients requested that every tree possible be saved. 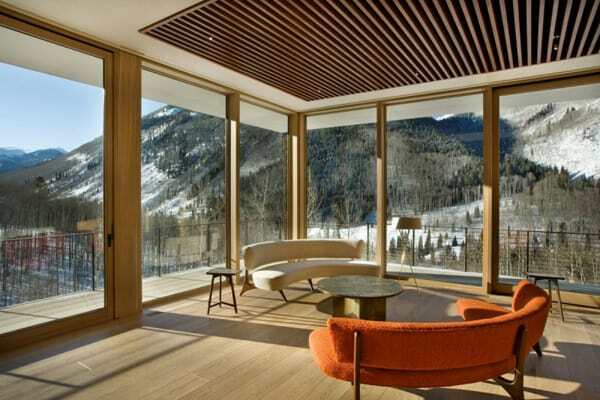 A licensed Colorado geologist was required for county approvals, verifying historical avalanche chutes and established Aspen groves. 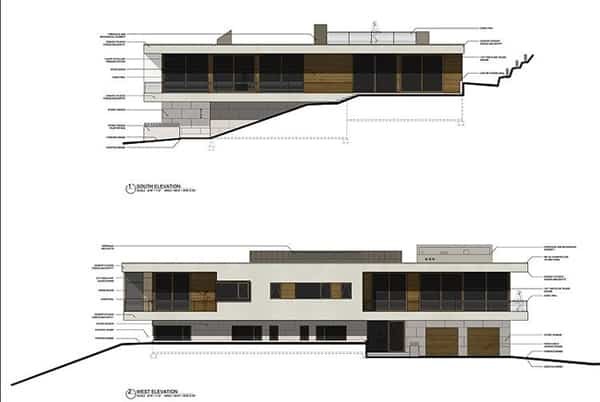 This process required a year and was subject to controversial review. 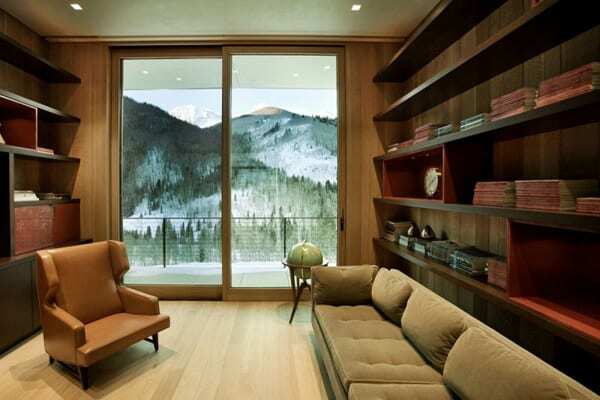 With clients circling the globe and often in differing places themselves, communication, material/sample review and securing decisions proved very challenging. 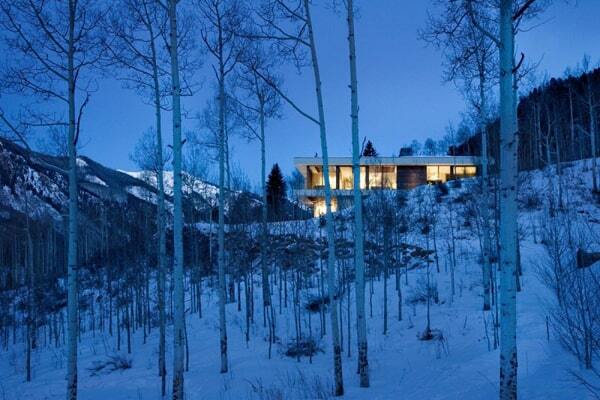 At an altitude near 10,000 feet, winters offered complexities in construction with shortened seasons and heavy snows. 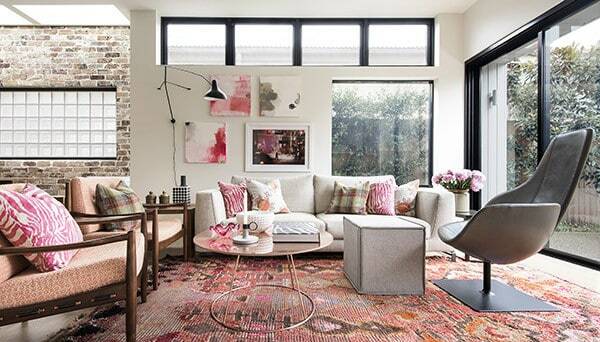 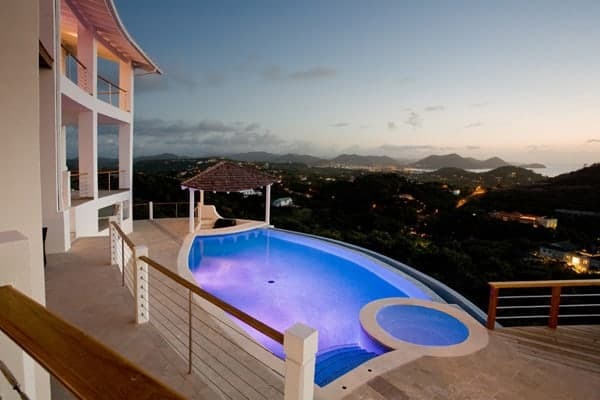 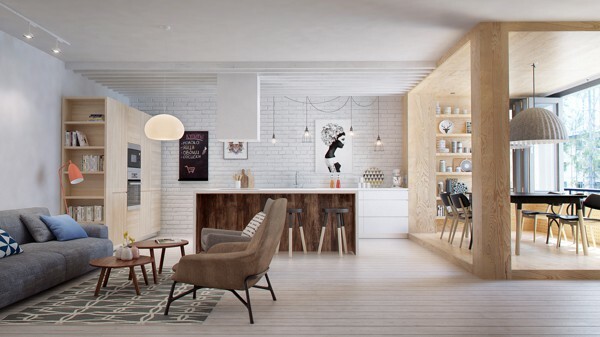 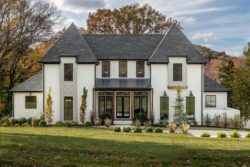 Our design solution embraced its natural setting, minimized site disturbance and reflects the clients demand for a calculated detailed architecture second to its remarkable setting. 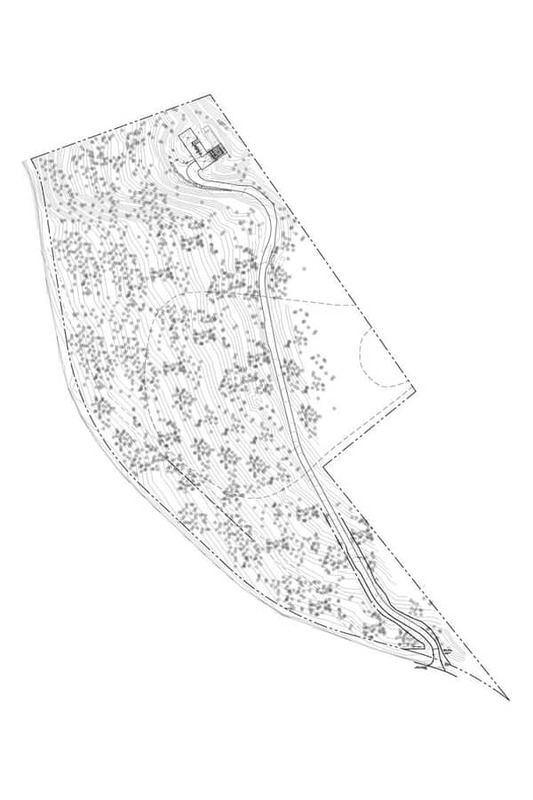 The horizontal L-shaped plan appears to float above a partially buried stone plinth. 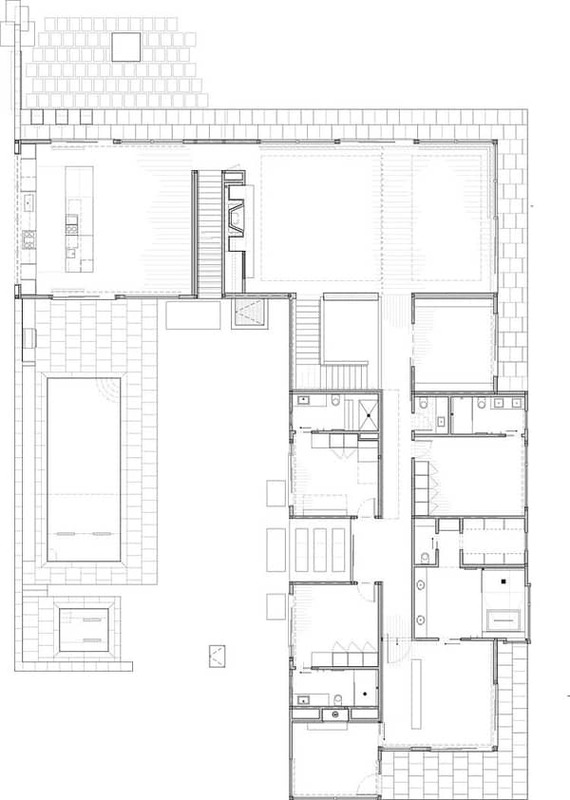 The upper level plan contains the public areas and houses the meditation room, library and master suite. 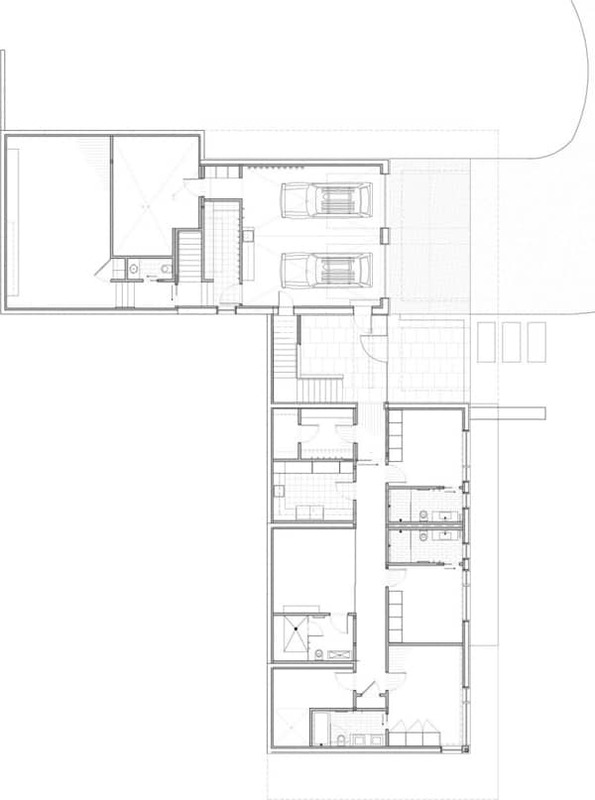 This solution offers views from all rooms and a rooftop terrace accessed from the inner courtyard has a viewing platform and sitting area. 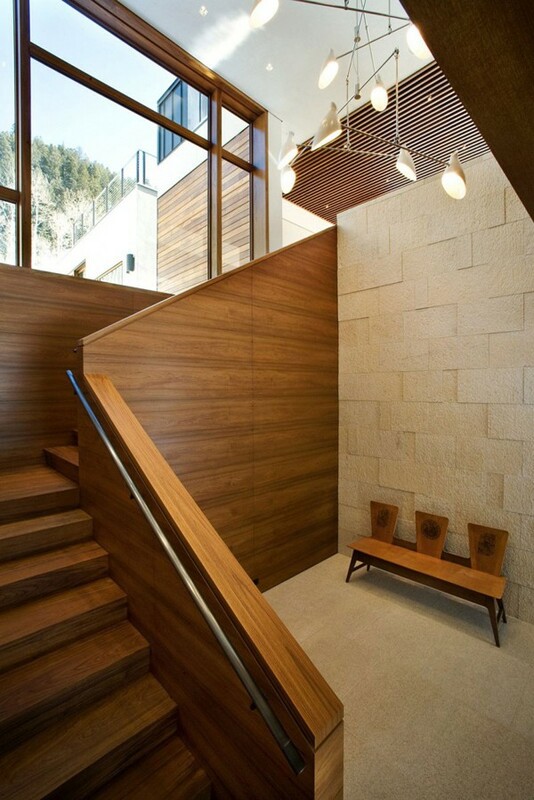 An exterior stair divides the lower level and accesses the rear courtyard underneath the upper plan. 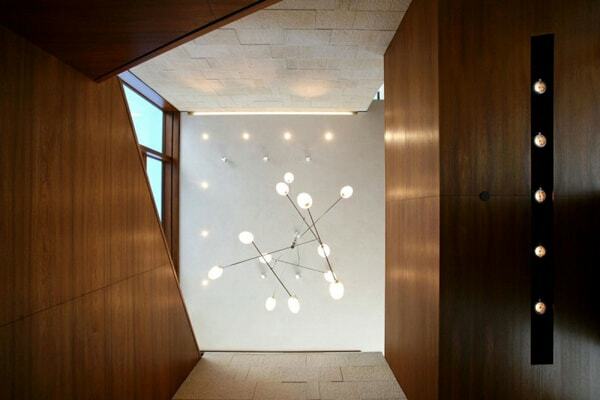 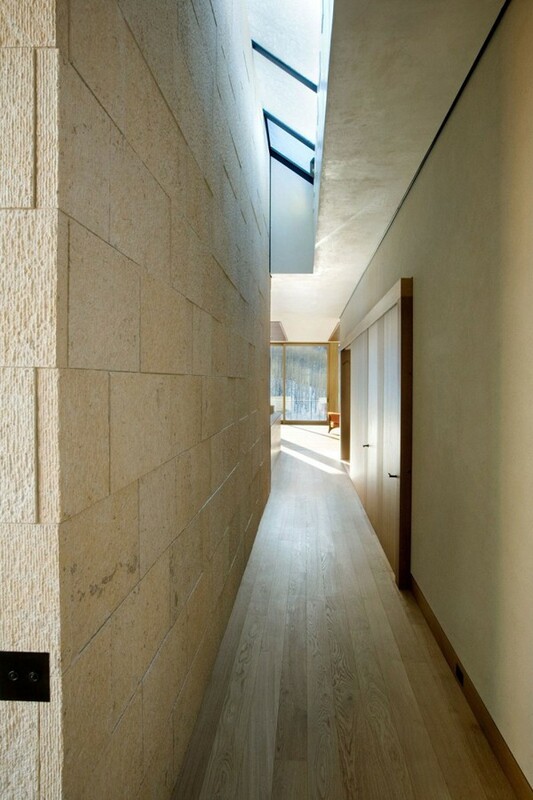 Materials consist of Japanese plaster, weathered teak siding, glass, and hand carved Yangtze River limestone.